This is excerpt No. 11 (of 45) from America’s Right Turn: How Conservatives Used New and Alternative Media to Take Power, by Richard A. Viguerie and David Franke. Just as we can and must learn from our own mistakes, we can also learn from others’ mistakes and failures. In 1955, for example, there were just as many objective reasons why a mass libertarian movement might succeed as there were for conservative success. Yet the conservatives did succeed in creating a mass movement, while the libertarians remained on the margins. Why did this happen? In this excerpt we look at marketing appeal, motivating issues, adaptability to street politics, leadership, and funding. In each instance, the conservatives succeeded while the libertarians fell short. This is not just ancient history—there are critical lessons here for conservatives today. Why was there no mass libertarian movement? We must always guard against the temptation to view past history as preordained. Most of us don’t really believe that – we believe in free will – but the assumption that what happened did so because it had to happen always creeps into our view of the past simply because we know the outcome of what did happen. Before continuing with our story of how the conservative movement came to power, therefore, it may be fruitful to return to 1955 and ask why a libertarian, instead of conservative, movement didn’t seize the moment. In the process we may uncover some movement-building lessons that transcend this particular example. In Chapter 3, “The Recipe for Creating a New Mass Movement,” we noted that “there is ever-increasing competition for your attention among potential mass movements.” Returning to the year 1955, we can find as many seeds for a libertarian or “Old Right” movement as for a conservative movement. Why then, did the conservative seeds result in a robust garden while the libertarian seeds brought forth just a few bushes? Let us offer a few suggestions for your consideration. Of course, what we now call the “Old Right” was then called, simply, the “Right” or the “right wing.” Still, the right-wing elements existing in 1955 were hampered by the fact that they had been around since before World War II – and had failed all that time to come to power. Before that, the America First movement – which had sought to keep the United States out of World War II – had overwhelming support among the American people, but was undone by the connivance of FDR to get us into war. None of this is to imply that there was anything wrong with the Old Right’s positions – merely that in 1955 it needed to reinvent itself to get rid of this baggage. But, thinking in terms of packaging or marketing was anathema to the Old Right. It is ironic that conservatives pulled off this packaging feat, since, after all, “conservatism” by definition is the preservation of what is good from the past. Conservatives succeeded in part because the word “conservative” had long been out of political circulation, and thus could be packaged as something new; and in part because – being something “new” – they could offer solutions without historical baggage of failure. Conservatives brought together, as the core of their appeal, two of the strongest motivators in America – religion and patriotism. These two motivators were joined against the threat of communism. In this regard, one of the great political accomplishments of the new conservative movement was its use of the communist threat to bring masses of Catholic voters into the Republican fold, and away from their ancestral immigrant home with the Democrats. The election of our first Catholic president, John F. Kennedy, slowed but could not stop this process. As we’ve noted, there is no inherent conflict between libertarianism and religion, and in 1955 there were two fine publications combining those elements. 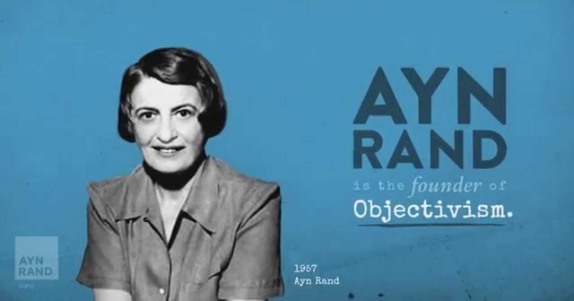 Nevertheless, Ayn Rand and her Objectivists were the loudest and shrillest libertarian voices in the 1955-1964 period, and they were vehemently anti-religious. After the American Revolution, most Americans scorned Tom Paine for his skeptical views on religion in The Age of Reason, even though he was probably the man most responsible for the American Revolution. George Washington stayed loyal to the patriot who had done so much for his country, but literally asked him to enter his house by the back door. Clearly, religious skepticism is not a path to power in America. In addition, America, in 1955, was wracked by doubts and fears on the communist issue. Too many domestic spy rings had been uncovered; too many bloody communist advances had changed the face of the world. The libertarians and Old Rightists never put together a comprehensive policy program for action on this, the gut issue of the day; the conservatives at National Review did. More generally, libertarians always have a problem with “waving the flag” politically, knowing full well the record of our own government in suppressing freedoms under the guise of patriotism; many conservatives had, and have, no such hesitation. Libertarians were more at home in academic pursuits; conservatives were more at home in politics. And as we’ve noted before, both groups were enormously successful – in their own areas of expertise. The conservatives quickly learned how to develop programs that were practical and easily understood by the masses. Libertarians were far more theoretical in their approach to political problems, which meant they had less mass appeal. It took several decades before a libertarian policy group, the CATO Institute, was formed to bridge the gap between politics and libertarian academics. Conservatives mastered the art of compromise; libertarians have a real problem with any compromise, which is one reason they fare better as academics than as politicians. Conservatives also mastered the art of discipline – of being able to purge elements from the movement that might hinder it, yet continuing to forge ahead. Those libertarians who were politically motivated could teach the conservatives a thing or two about brutal purges and factional fights, but they never figured out how to bring Humpty Dumpty back together again and continue advancing. Libertarians had no charismatic leader comparable to the conservatives’ William F. Buckley Jr.
Ayn Rand had broad charismatic power – in print. In person, she had more of a cult appeal – thankfully not the stuff of which mass movements are made, at least in America. Murray Rothbard had an engaging personality – especially in person – as well as a brilliant mind and nimble wit. Having said that, he lacked the organizational ability to lead a movement; he was (like other libertarians) better at purging than at coalition-building; and he lacked the visual and rhetorical appeal of Bill Buckley in what was fast becoming the age of television. Among politicians, Robert A. Taft had been the gold standard in terms of appealing both to conservatives and to libertarians. Barry Goldwater called himself a conservative and won the hearts of virtually every conservative in America. With his individualism and frankness, he also appealed to a good many libertarians, especially the less doctrinaire ones. The libertarians could point to a few libertarian-leaning congressmen in this period, but they had no one with the broad appeal of a Goldwater. While money initially was scarce in both camps, the conservatives quickly outperformed the libertarians in learning how to raise the cash necessary for creating a movement. In these early years, all operations – conservative and libertarian – started out as bootstrap operations, but National Review always managed to find enough money to survive and grow. Some of the funds came from Bill Buckley himself and other Buckley family members, though the family contributions were undoubtedly far less than the public imagined. While most often compared to the Kennedys, the Buckley family was not nearly as well off as the Kennedys. A good amount of National Review’s funding certainly came from WFB Jr.’s annual fund appeals to subscribers, which began in 1958. This was a smart marketing move, as one major lesson in fundraising is to return repeatedly to the people who have already contributed to your cause. Interestingly enough, though, Buckley said on the PBS program Talking with David Frost (June 28, 1996), that National Review “lost 19 million dollars” in its early years, adding: “In constant dollars it comes to about 45 or 46 million.” If all that red ink was covered by Buckley’s annual fund appeals, he missed his calling, for he could have been one of the nation’s most successful fundraisers. Whatever the sources of National Review’s early funding, it was far more than that enjoyed by any libertarian enterprise. In considering why conservatism succeeded as a mass movement, while libertarianism didn’t, it is important to remember that all of these elements worked in synergy with each other. Early funding can give one side a head start against the other, but without leadership and broad public appeal the funding will be wasted. And by 1960, the contest was over – it was obvious the new movement would be conservative rather than libertarian.